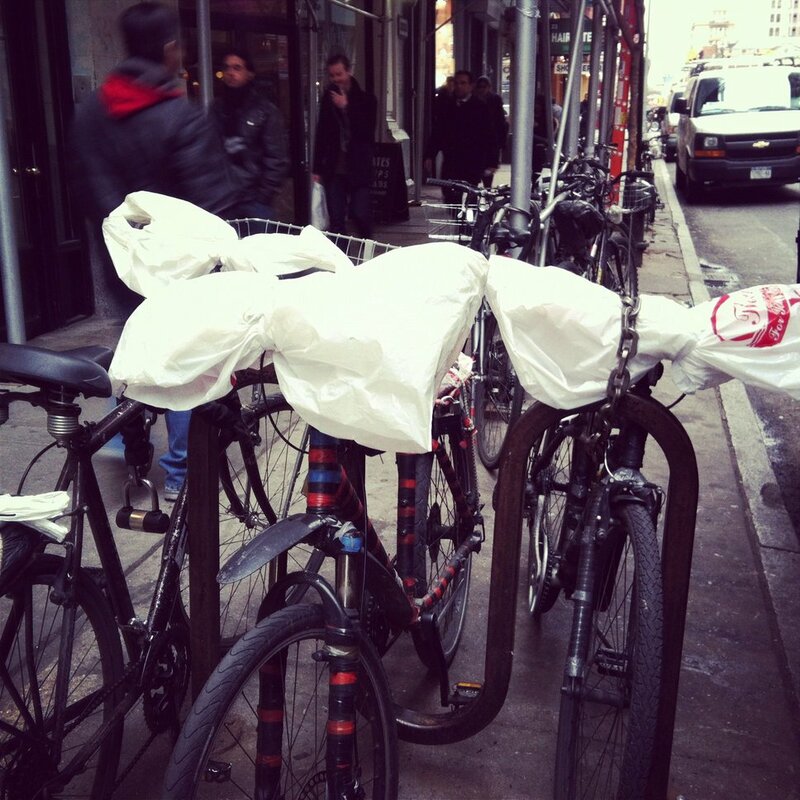 This entry was posted in loisaida - the neighborhood and tagged bike commuting, new york city biking, urban biking, winter bike riding by ileana. Bookmark the permalink. I just recently started following your blog. I travel to visit to see what makes a locale unique but, more importantly, to see how people live, what they do in the everyday life, how they interact with each other in their community, etc., so I am truly enjoying what you write about. Thank you very much for giving me a glimpse of your world. ( I live in Texas). Estella, you made my day, dear reader. Yes, I do Linda. I don’t want to be a vegetable. I live in Portland, OR where a great percentage of the population commutes by bicycle, but I have been too afraid to try it myself. I’ll ride on quiet little neighborhood streets but something about riding right along with cars freaks me out. And we have bike lanes! Maybe I should give it a chance though, since you did and you love it now. And those plastic bag windbreakers are so funny! I haven’t seen that here but I’m sure it’s because of our milder temps. Hello Amberly, Thanks for reading. Believe me, if I can do it, anyone can. I am what they call a nervous driver. For the first month, every ride was a white-knuckle one. But I got used to it and now its just fun. Just remember, if you hit a spot where it is too scary, you can always get off the bike and walk it on the sidewalk. 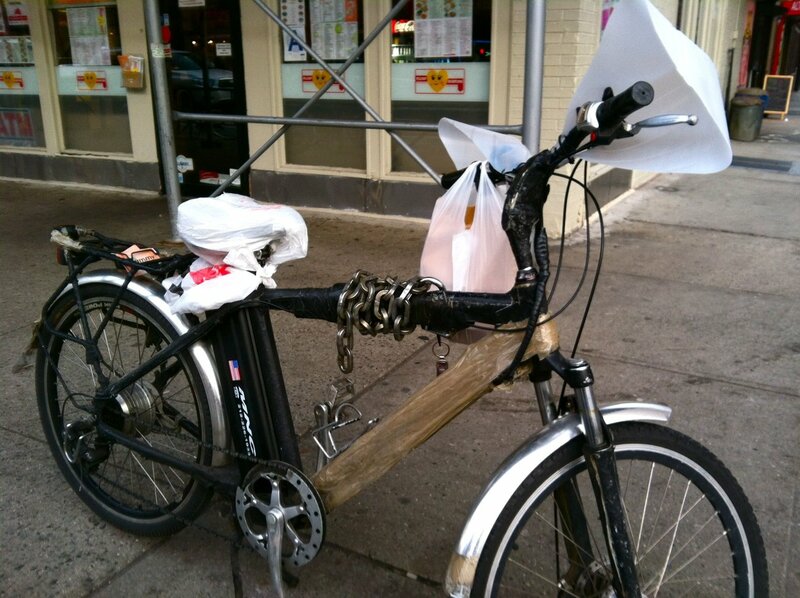 I recommend a hybrid bike. 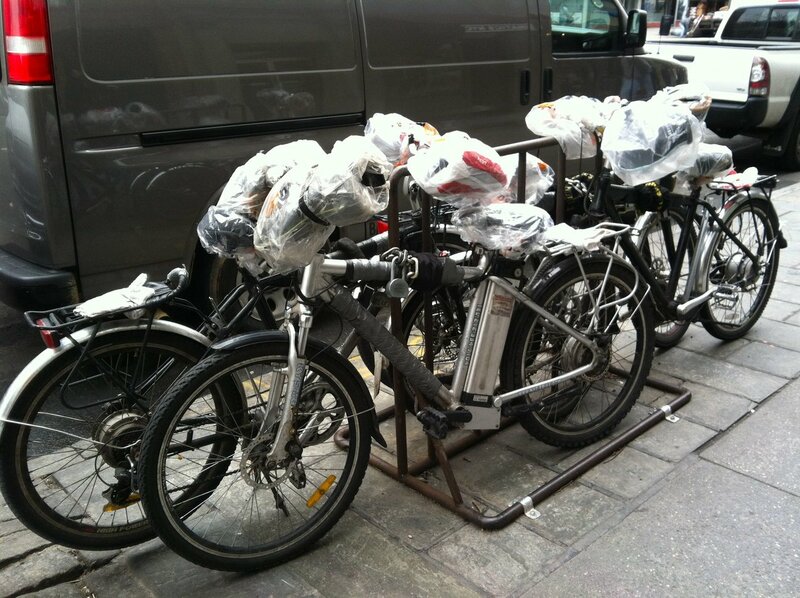 They are good communter bikes, sturdy and comfortable. I find ski goggles work really well on the really cold days when you need to keep the wind completely off your face. You might look a little silly but it works. 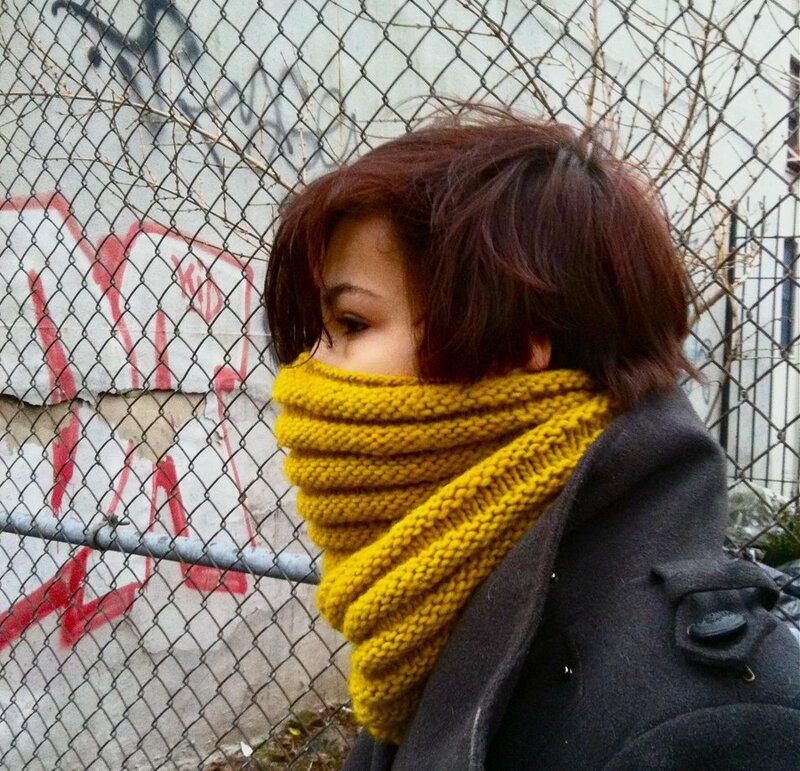 And it’s on the cold days when you really need to think about (good reasons to go by bike.) Thanks for giving me a couple more! That is a good idea. 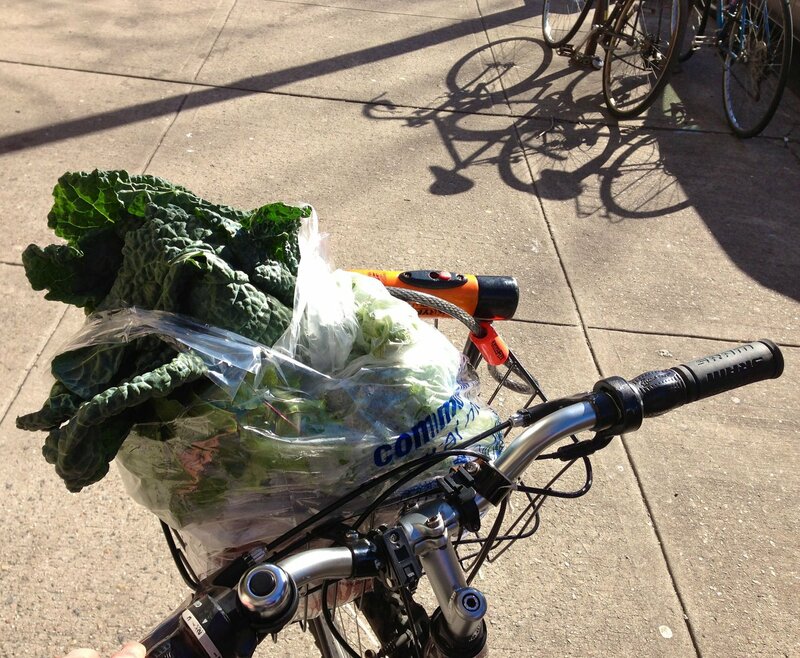 I loved your post “Good Reasons to go by Bike”. Thanks for reading and I’m happy to have discovered your blog – an added bonus.